Vermont’s small hemp industry has cause for great optimism: The state has the nation’s loosest hemp regulations and a latitude that makes it an easy fit for hemp cultivars developed in Canada and northern Europe. But Vermont’s hemp growers have reason to worry, too. For one, the state’s few hemp producers are about to face increased competition from Vermont’s larger neighbors, New York and Canada, both of which are making big investments in their hemp markets. And there are concerns from within the tiny state, too. If the state legislature and the governor can agree next year on legislation to legalize recreational marijuana, the resulting rules could give hemp producers a whole new set of guidelines, with uncertain implications. Here’s what you need to know about Vermont’s hemp market. Vermont has authorized hemp growing since 2013, a year before Congress enabled states to do so in a limited manner. Notably, Vermont is out of compliance with those federal hemp rules. Vermont’s hemp growers do not have to participate in a pilot project or a research scheme with a university or state agriculture authorities – conditions laid out in the 2014 Farm Bill authorizing limited hemp production. Interested hemp growers can get hemp licenses for $25 a year, with no background check requirements or acreage limits. Vermont growers also have better access to viable hempseeds than hemp farmers in other states. Because long-established hempseed producers in Canada and Europe are close in latitude to Vermont, seed acquired by Vermont growers can have higher germination rates than seed sown in states farther south. That’s where official data about Vermont’s hemp industry ends. The state does not actively research or monitor the plant. Vermont agriculture officials also don’t know how many licensed acres are actually in production, how much hemp its farmers are producing, or where and how they’re selling it, said Tim Schmalz, Plant Industry Section Chief for the Vermont Department of Agriculture. Unlike other hemp states, Vermont does not require hemp plants be tested to make sure their THC content is below 0.3%, Schmalz said. Instead, Vermont tests hemp’s THC content only at the request of law enforcement. That has happened only once, Schmalz said, and the plants in question passed inspection. Vermont’s hemp entrepreneurs take pride in the state’s hands-off approach to the plant. “Vermont’s hemp rules are intentionally vague,” said Joel Bedard, CEO of Vermont Hemp Co. in Jericho. Bedard’s company grew about 200 acres of hemp this year, mostly for fiber and seed. It also contracts with several Vermont hemp growers to provide raw materials for resale to other processors. $100 or more per pound of dried flowers or buds for use in CBD extraction, a price much higher than farmers are getting in some western states like Colorado. Growers say that Vermont’s small market has led to sky-high prices for hemp flowers or buds. Of course, those buds are worthless without buyers. Nearly all of Vermont’s CBD extraction is done in-house by CBD producers or the few licensed medical marijuana producers, growers say, making the CBD open market virtually nonexistent. 80 cents to $1.20 per pound for seeds to be eaten as food products or pressed for seed oil. Hemp’s headline-grabbing cousin, marijuana, could disrupt Vermont hemp production in major ways. Vermont’s hemp growers are anxiously awaiting the release of a January report commissioned by Gov. Phil Scott to recommend how the state should regulate recreational marijuana. In May, the Republican governor vetoed a limited recreational marijuana bill passed by the Legislature that would have legalized adult use but not established a full-fledged rec program involving cultivation and sales. The governor said he was not philosophically opposed to legalizing marijuana, but he wanted to study issues such as how sales should be taxed, impaired driving and how to keep it away from children. The Marijuana Advisory Committee isn’t looking at hemp and has met only once. But the panel’s suggestions could change the hemp market, especially if the panel considers how marijuana purveyors acquire CBD. Among the likely changes – if MJ legalization is approved – is a formal testing regime, where hemp growers would be subject to spot sampling by state regulators to review their plants’ THC content. “I’m simply not sure where the government involvement is going to go,” Bedard said. Even if Vermont’s hemp producers aren’t affected by recreational marijuana legalization, the small state of just 625,000 people faces uncertainty from its more populous neighbors. For example, New York state just to the west entered the hemp market in 2016 and made a big play for hemp development this year, with the governor personally inviting entrepreneurs to apply for grants aimed at building an industry. 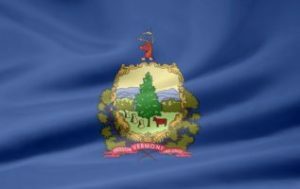 Vermont also borders Canada, which has a well-established hemp industry and is importing just trace amounts of hemp products from the United States. “We’re a small state. Are we going to get lost in the shuffle when hemp is legal everywhere? I don’t think anyone knows,” Fair said. Vermont’s hemp producers say they’ve got to establish loyal customers now, taking advantage of Vermont’s flexible hemp rules and small scale. “We’ve built a brand and a niche product, and that’s going to make the difference,” sad Kyle Gruter-Curham, founder of Creek Valley Cannibidiol, which grows and sells small batches of CBD on just 6 acres in Irasburg, Vermont. Healthy edible oils are selling at a premium these days. Therefore any hemp grower who produces seeds for edible hemp oil cannot lose.